The Delhi government's ambitious plan to offer doorstep delivery of 40 government services, including obtaining a birth or marriage certificate, driving licence, pensions and new water connection, kicks-off today. More services will get added in the future and better still, the convenience of skipping snaking queues, and possibly greedy officials, in the government offices won't hurt your wallet - the fee for this facility is reportedly Rs 50. The Delhi government has given the contract for executing the project to VFS Private Limited. Dev Kumar, VFS' company head for South Asia business development, said that under the scheme, 11 call centres will be set up in 11 districts of the national capital. The idea is that citizens can simply call a centralised number to set up a home visit with a mobile sahayak [facilitator]. The helpline number provided is 1076. "Through this number, people will be able to call and get information regarding their requirements from a particular department and service," said Kumar. Additional services include timely verification, documentation and instant online upload. So, suppose a person wants to apply for driving licence, he/she would have to call a designated call centre and give the details. Thereafter, the agency would assign a Mobile Sahayak, who will visit the applicant's residence and collect the required details and documents. The applicant will then have to visit the Motor Licensing Office just once - for the driving test. If the service calls for biometric identity verification, all the necessary equipment such as biometric devices and a camera will be taken to the applicant's home. Applicants will reportedly receive the approved licenses/certificates/permits by post. What are the services covered by the scheme? According to Delhi Transport Minister Kailash Gahlot, 40 services are currently under this scheme, across seven departments such as revenue, transport, Delhi Jal Board, labour and welfare. The list includes issuance of caste certificate, address proof, income certificate, RC and ownership transfer of vehicles, ration cards, domicile certificate, new water and sewer connection, issuance of Priority Household Card, approval of installation of passenger lift, lift shaft and machine room, and Handicap pension scheme. He added that within a span of two to three months, more than 100 services will be provided in the form of home delivery. In case of mismanagement and improper operations, complaints can reportedly be made at the designated customer care number. Will the scheme check corruption? According to Gahlot, the Delhi government's transport department is the most corrupt in terms of middlemen and unrequited commission agents but this new scheme will put an end to that while people would no longer have to waste time and energy to get their work done. He further stated if things go to plan, the scheme will be expanded to the provision of ration. The latter will be delivered at citizens' doorsteps, thus curbing corruption further. 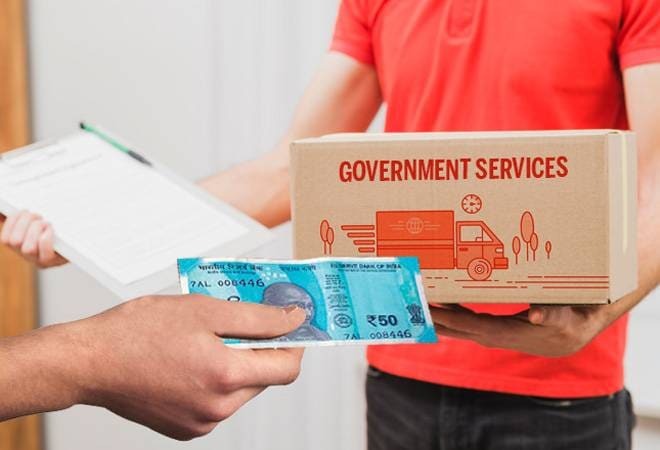 Last year, Delhi's Aam Aadmi Party (AAP) Government had proposed a 'Doorstep Delivery of Public Services' scheme and had accused Lieutenant Governor (LG) Anil Baijal of stalling it. The latter, in December, had denied the allegation. A statement released by the LG's office stated that Baijal had "observed that there are issues with the present proposal as it would introduce another layer of human interface with its attendant complications including concerns associated with safety and security of women/senior citizens, possibility of corruption, delays, loss of documents, breach of privacy". The statement had added that Baijal instead recommended a "model which provides for 100% digital delivery of services to people". However, on July 4, a five-judge Constitution Bench of the Supreme Court had laid down broad parameters for the governance of the national capital, paving the way for the AAP government to proceed with the scheme.